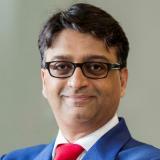 Ketan Samani is Managing Director and Chief Digital Officer for UBS Wealth Management for APAC. There are five key initiatives under his mandate: to drive a superior experience; to drive adoption and sales; to increase usage and cross-sell; to create sustenance and a value exchange and to bring about impactful innovation to UBS. Prior to joining UBS in March 2015, Ketan was regional e-Business head at DBS Bank, Southeast Asia’s largest financial institution. He is widely credited with turning DBS into a digital banking leader. Married with two girls, Ketan has also held leadership e-business and sales roles at Standard Chartered, Barclays Wealth, AXA Investment Partners and HSBC in a career spanning 21 years. He remains passionate about the client experience, and enjoys the occasional round of golf as well. Check out the incredible speaker line-up to see who will be joining Ketan.